Our indoor classroom is full of materials that are culturally rich and that motivate students to be mentally active. 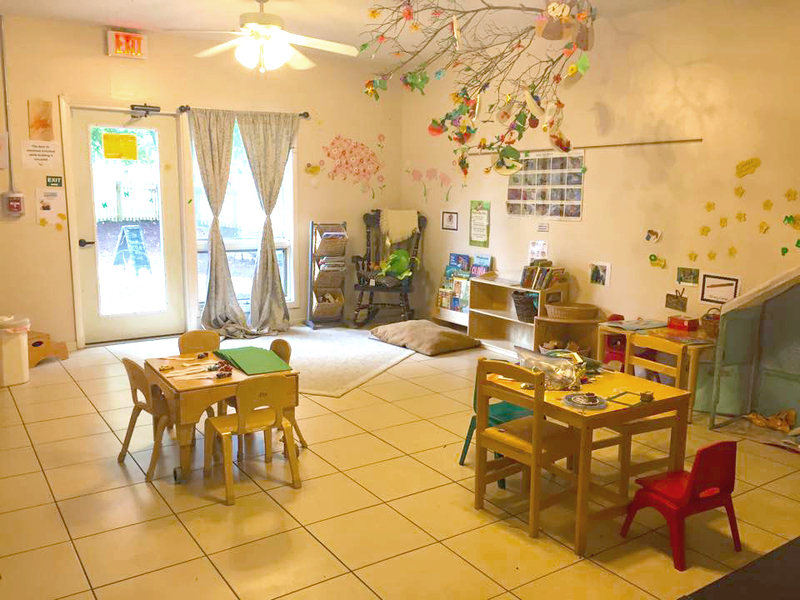 The furniture is all natural and creates an inviting aesthetic feel in the classroom. Our outdoor classroom is a great space for children to connect with nature and use movement as part of the learning process. All our teachers have a passion for inspiring young minds to learn and grow through serving as a facilitator, observer, decision maker and collaborator in the classroom. By teachers taking on these roles, learners are allowed to think for themselves, construct their own knowledge and solve their own problems, therefore, creating an environment full of possibilities!